Apple is known for many things, but one of its most notable modern day achievements is introducing the world to smartphones and how they can become (and would eventually become) the norm in terms of mobile telecommunications solutions. Of course, Apple’s iPhone made quite a stir in the tech industry and managed to affect everyone at a global scale, but how do they run? To create a well rounded, closed and self-sustained ecosystem for its new innovation, Apple has also created iOS, which is the operating system on which iPhones and iPads run. App development for iOS devices wasn’t always the way you see it today. In the inception stages of the smartphone phenomenon, app development went quite different and a big part of that is due to the programming language. While efficient enough at first, Objective C turned from a go-to solution in terms of programming apps for iOS, to a lackluster placeholder that developers would use while secretly waiting for something better. Their prayers had been answered when Swift came along. Swift was introduced as a more up to date alternative to ol’ Objective C, which wasn’t able to keep up with the evolution state of smartphone technology. Moving to Swift from Objective C was not a pleasant task. It was a hard thing to do and the process involved some dedication on the developer’s part. However, they eventually got the hang of it and started to use its full potential, that is until Swift 3.0 came to be. This time around, the programming language had the support of Apple’s engineers which worked towards providing their developer community an efficient, updated and useful tool they can use to create apps of even higher quality. Swift 3 is here, but what will make it stay? Swift 3 comes with an array of features and tools that developers can put to good use. Thanks to all the options Swift 3 provides them, they are able to, in turn, provide the user community with up to par applications that meet the highest standards set by both previous app efforts and user expectations. If you ask an oldschool developer about the coding process before Swift was around, you’re in for a mouthful. It is a known fact that app coding used to be a real hassle and the bane of many developers. Swift doesn’t remove the need of coding, but sure does a great job in making sure you won’t hate every second of it. The entire thing is done a lot faster and easier thanks to how Swift 3 enables developers in this task. The benefits of switching over to Swift 3 can best be seen through all the time you save by not having to dedicate so much on coding. Swift 3 is built so that it incorporates the qualities of previous iterations but at the same time comes with new ones. This can be seen in how Swift 3 allows you to bypass some elements that used to require your attention indefinitely. An example of this would be how you can now bypass the necessity of labels for function parameters. The coding syntax has been drastically changed for the better in Swift 3. This allows app developers to go through app development a lot smoother and have a better grip on memory and memory management. This is possible through the fact that memory management has been made “smarter”. That being said, many developers, newcomers and veterans alike, may be wondering if Swift 3 is in fact the way to go. Just by putting the benefits of migrating over together you manage to compile this long list of possibilities that you would be missing out on if you don’t migrate. The applications of Swift 3 in contrast to the current state and evolution of the iOS app market stand as testament to both tapped and still untapped potential of the platform. Now, as for how long Swift 3 will be around, that’s hard to say. We could easily see Swift 3 remain the norm for a very long time, but there are talks about Apple having a Swift 4 release in mind. The leap from Objective C to Swift 3 for example is astronomical, but a potential Swift 4 would see us advance in terms of programming technology in smaller increments. We can very much expect better solutions for smoothening out the transition to the new platform. Currently, the transition requires some hard work, but it’s most certainly worth it. A lot of apps are entering the market in today’s world that is basically ruled by smartphones, and who knows which one is going to go viral and get a lot of downloads. Social media ones have a lot of downloads, but only the most popular, and betting on a newly-come social media app doesn’t sound like the best idea. The other category of apps that is prone to going viral is gaming apps, with big hits like 2012’s Angry Birds and 2014’s Candy Crush. The first one even got its own movie – so you’d imagine how much money the investors got with Angry Birds. King Digital Entertainment has gotten out on the market 4 types of the Candy Crush game and all of them are doing great. Most people say Pokemon Go is this year’s star app, and we know it has many downloads, but let’s hear what Anthony Glomski, who is the founder of an LA company called AG Asset Advisory, you might think that investing in this game wasn’t the right choice when it first arrived on the market. "I know there's a lot of excitement around Pokemon, so I don't want to rain on the parade. But in the app world it's important to understand that space is dominated by VCs [venture capitalists]. If you look at those guys, it's not unlike them to make 10 investments and lose money or break even on six or seven of them. You are dealing with the best and brightest people in the tech and app market." Dan Ward, CCO at Detroit Labs, also tells out a little bit about apps and how you should choose them: "Apps have been a thing for so long. It's where people go to get information and where people tend to search if something is happening. Only a few companies are making it in this blockbuster environment. There's a little bit of science to it, and at the end of the day, it's just like a movie. If people don't like it, they don't see it." He also points out that if you’re looking to invest, you’re better off trying to invest in a big company that has had success before and somehow understands better what the user wants. He gives as an example Supercell, which has under its belt the famous Angry Birds we were talking about earlier, as well as current favorites in the App Store Rovio and Clash of Clans. You’d never think such a small thing makes a difference, but, actually, users appreciate having the option of working with other apps. Mainly, you’ll see apps that allow you to share a score, or a picture, etc. on social media platforms. This does not only please the customer, but it also gives the app a little more promotion via social media. A definition of the word marketing says that you need to have the right product, at the right time, at the right place and in the right quantity. This definition can be applied to mobile apps as well, because if you’re onto what is the trend worldwide at the moment, you can invest in the right apps. Messaging apps are very popular because they allow people to be closer together…without actually looking at each other. You can even shop in this sort of apps, so, for now, they are very popular among people. People also love food and drinks apps, be it a social media type where you can ‘show off’ what you’re eating, or get recipes, or even get the location of restaurants near you. These are the safe bets. But let’s look a little bit at Pokemon Go. This game got very popular fast, because it relied on people’s nostalgia. The cartoon was spread worldwide, so millennials now feel nostalgic when they hear about it. An app that resembled the old games of Pokemon blew everyone’s mind. But investors didn’t predict the success this app will have, so there are examples of unpredictable outcomes. After all, no one knows the future. There are a lot of trained investors that know probabilities and a lot of other helpful things, but after all, humans are unpredictable. They might ‘fall in the trap’ of an app, finding it appealing, or they could completely ignore it, even if you think it’s the coolest app in the App Store. Don’t forget to take a look at trends and try not to venture in newly come companies. We can agree that each of the major operating systems is a powerhouse and there are only a few similarities between them, but when building an application that runs on either of them, it’s not always necessary to have programming skills, as there are some DIY mobile app making platforms that help beginners make their own apps. So, if an application will run on multiple platforms and will render differently across them, it will still have the same interface, menu and features. Many app developers are using Appcelerator, which allows them to use a single code base, then use existing code to perform a new function. As we’ve told you, the most used cross-platform app development tool is Appcelerator and it supports the reuse (60-90%) of developed code. 100 percent reuse would give developers a very little control over their app’s UI/UX and the app will look identical across all platforms. Usually, web browsers share a high percentage of their code across Android, iOS and Windows Phone. Also, the greatest potential to share code between applications for different platforms is in their app logic and specialists recommend developers to tailor the UI for each platform, to deliver an awesome user experience. When developing cross-platform apps, it’s recommended to build the code to be abstracted (like it would be a local web service), making all of the programming logic totally independent from what will run on the screens or on the platform. By making all programming logic totally different from what will run on the screens or the platform, the programming modules will be platform-agnostic and reusable across platforms. The next step is to build the native user interfaces (they will consume the local web services) and to make sure that the code is decoupled from the logic. Experts have assured that it doesn’t matter if mobile app developers are using a TabbedBar on iOS or a ViewPager on Android, because the user interface code won’t suffer any changes, as it’s only a consumer of the app logic. To explain the difference between tabs in iOS and Android, we’ll tell you that the former OS has a built-in NavigationController and supports multi-level navigation within each tab, while Android has shallow tabs that don’t allow in-tab navigation. If you don’t know your target platforms, read their user interface guidelines in full and after learning enough information about them, you will understand them better and you’ll know how to design more beautiful user interfaces. You may have a personal preference when it comes to platforms, but learn not to discriminate and show equal commitment to iOS, Android or Windows Phone users. Don’t let your passion for any of these operating systems influence the design or functionality of your cross-platform platform, don’t put limitations and don’t add extra features only for the version of your favorite OS. Because you will lose users and it’s not fair to them. Imagine what a user of the target platform would want from your mobile application, put yourself in his shoes and start making comparisons with other applications that work on the same platform. What they have in addition and how complex are they? After answering to these questions, you – the user, will give suggestions to yourself – the developer, about what features should be added. Then, you’ll test the final product, and if the user in you will give the ok, then it means that the application is ready to be uploaded to the iOS/Android/Windows Phone stores. Why Should You Hire an iPhone App Development Company for Your Business? With the consistent new updates and releases that iOS development has been making into the world of smartphones, it’s quite clear that a lot of measures are being taken to gain heights in the aspect of mobile app development. As the popularity, importance and user base of iPhone apps is growing really fast, it is likely to become the most common choice of business owners when it is about developing an app for business. In fact, business owners are now hiring professional iPhone app developers from experienced iPhone app development companies for better results. Everyone agrees to the fact that there are many benefits of getting iPhone applications developed by professional for the growth and profit of their business. However, there are only a few who acknowledge and understand that hiring experts is not the same as having amateur developers. With professional help, your business can get many benefits in developing an iPhone application for business. Experience is one of the most critical aspects of being professionals in the field of iOS app development. Professionals are aware of industry norms and functions; they understand how things function and how to apply proper patches in different situations. This is the reason why you should always hire companies experienced in iPhone app and game development. When an experienced hand handles the development process, your business could actually reach its peak. In this case, marketing tactics are also a critical part of the development process. You can expect that a professional and experienced iPhone application development company would have strong technical expertise and knowledge. There are many aspects of technicalities involved in designing iPhone applications. Companies possess the necessary skills and expertise to work with the advanced iPhone SDKs for developing creative apps. In fact, their developers also have the required skills needed to work on the latest and most advanced techniques and tools. An experienced and professional company in the field of iPhone app development has obviously worked on many projects. Not all projects are simple right from the start. There may be really complicated projects too. However, as a company is experienced, it can handle such issues with ease. Most professionals in the field of app development have hands-on experience in creating, developing and designing an intuitive iPhone app UI. They are capable of creating some really dynamic apps to attract more volume of traffic. In addition, experienced companies can utilize the latest tools and technologies to deliver the finest app that would become a great hit across app stores. A professional iPhone app development company gives you another major benefit – it enhances your app’s scalability. You can avail their dedicated services, having full control over all the resources as well as the project. Companies generally offer scalability to make sure it can meet your business requirements. With technologically advanced companies, you would actually have the option to choose from some of the flexible models of hiring offered by iPhone development companies. It would help you to choose any model that is suitable for your business needs. You can interview the company, evaluate all its resources as per needs, and choose the best out of the lot for your iPhone application development project. Read Also: How Much Time Does Your iOS App Take to Get Ready? Experienced iPhone app development companies understand that their role doesn’t end by delivering an app; rather, it is the beginning of a long-term relationship. Professional companies ensure seamless and timely communication with their clients. Such companies value their customers and also give importance to the fact that there should be cordial bonding. Companies aim to provide continuous support through diverse world-class communication channels to ensure their queries and issues are resolved timely and promptly. You can also expect transparency in their approach. Companies always rope in their clients during the process of development. 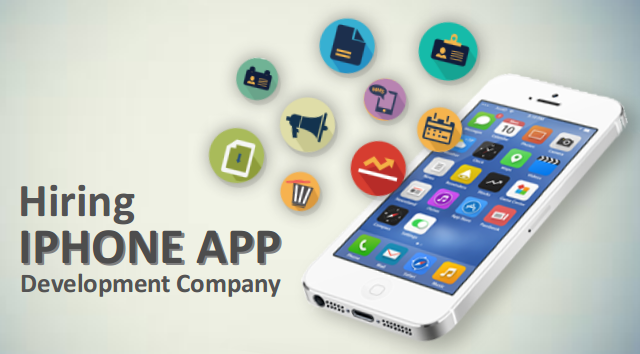 Ace iPhone app development companies always ensure that their job is done and delivered in time. Timely completion of every single project is a mark of professionalism. They usually have excellent record in meeting deadlines and expectations of client. They take additional step to ensure that their job is delivered expeditiously on time. 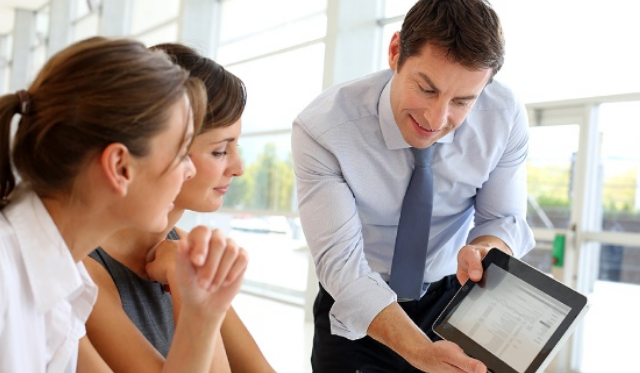 Professionals offer cost-effective solutions, which is why they are trusted. 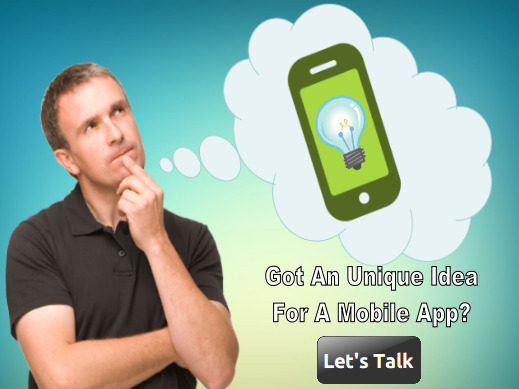 They save your time while offering you complete mobile application development services. Related Blog: What’s the Cost of iPhone Application Development? Well developed and state-of-the-art infrastructure with favorable business processing environment always creates a positive outlook. Proficient iOS app development companies are familiar with working in all kinds of facilities and they offer perfect infrastructure as well, which helps them increase efficiency of their employees. Thereby, companies can successfully deliver services and desired results to clients timely. As such, there are several benefits of choosing a professional company holding several years experience in developing iOS apps, ensuring advanced bottom-line, delivering brilliant apps and enhancing overall ROI of a company. Online reputation and branding are two pillars of strength for every online business. Choosing any company that holds knowledge and experiencing in iPhone app development can thus give you plenty of benefits. Do you want to hire an iPhone App development Company for Your Business App?? Click Here to get free quote!! Smartphone revolution and exponential growth of app usage has changed our lives dramatically. Studies reveal that today, human beings spend more time on mobile applications than any other platform. These apps have completely changed our lives, making their presence felt across all domains – from music & entertainment to banking, business, education, news, shopping, flight & hotel booking, travel, and so much more. These applications provide enterprises with unique capabilities to harness mobile technology to reach new and existing customers, as well as facilitate seamless business operations. However, these capabilities also encompass legal considerations that every developer should note before building a mobile app. Here, we shall look at some of the important legal aspects to consider when developing a mobile app. Make sure that every company considers these aspects from the very beginning and throughout the app development process. The mobile app industry is continuously breaking boundaries, coming up with unique and innovative concepts every day. In such a scenario, maintaining confidentiality becomes paramount to prevent competitors from poaching intellectual property or ideas. During mobile app development process, confidentiality issues will arise when you integrate with third parties like designers, copywriters or vendors. It is crucial for third parties to thoroughly understand your app vision and how it will work to assist you effectively. But at the same time, make sure that all information related to your app is kept secret. Therefore, you must sign an NDA with third parties. This will help safeguard your business data and innovative ideas from being disclosed as third parties will have legal binding for non-disclosure. If you do not sign an NDA, your vendors and third parties will be at liberty to divulge critical business data and secrets to your competitors. The contract for mobile app development must clearly define the scope of work expected of you and your third party. It should include everything that you deem to be important and legally viable. In addition to NDA and clause for secrecy, the contract should also include other aspects like post sales service, tenure of app support, etc. The idea is to clearly articulate roles and responsibilities of both the parties and to ensure maximum protection from third parties. Intellectual Property refers to the elements used during app development process and promotion. This includes app design, name, graphics, logo, source code, etc. For organizations building a mobile app, ignoring the significance of protecting intellectual property rights can be detrimental. If you and third parties involved in the app development process are not clearly aware of with whom lies the intellectual property right, it can cause security infringements and legal issues. Buying a patent can help protect your IP rights. If your app is not patented, your intellectual rights can be protected with trade secret agreements that clearly states that all kinds of unauthorized public disclosure about the application are banned except for promotional purposes as issued by the company. It is also important to get your app copyrighted to prevent unique and innovative ideas from getting copied by competitors. It is also crucial to get the codes registered to avoid designs or features from getting replicated. To avoid further legal hassles, make sure that you do not infringe intellectual property rights of a third party, intentionally or unintentionally. To prevent the risk of unintentional infringement, ensure that your app is 100% original, and your developers have not copied the code or content from another app. You can also conduct a patent or trademark search before you start building an app. Major app stores like Apple App Store, Google Play, and Microsoft Windows Phone Marketplace often require app building companies to follow certain compliance policies to distribute their apps via these platforms. The agreements provided by these platforms often require you to integrate certain additional usage and compliance policies, and particular terms must also be included in the end user agreement with users of the app. Regarding app advertising, legal considerations are same as that for websites, networked communications, or emails. You should also consider important advertising and promotion laws pertaining to advertising or promoting the app, serving 3rd party adverting through or in connection with the app, or conducting contests in or through the app. There are a lot of details involved in each of these legal issues, and an awareness of all these considerations would be essential to avoid infringements and security vulnerabilities. Having an in-depth understanding of these legal aspects will ensure that you have a hassle-free path to app success and longevity in the market. Think of popular mobile apps that broke big recently. Chances are they’re built for consumers. On the flip side of the coin, some of the most useful apps are the ones designed for businesses. In fact, the impression that only B2C mobile applications are popular is losing ground in recent times. B2B apps are getting equal traction as B2C mobile apps, with more and more organizations encouraging their workforce to use marketplace apps like EchoSign, Evernote for Business, Visually, Dropbox for Teams, etc. Another approach that many businesses take is building custom mobile apps, tailor-made to meet their core business needs– enable the employees to access information on demand, bridge the gap between sales team and end users, or productivity enhancement tools. These made-to-order apps provide an opportunity to create one-of-a-kind tools that perform exclusive functions, cater to the business it was built for, and offer unique solutions that include improving existing processes and workflows. On the contrary, Off-the-Shelf Mobile Apps or OSMAs, which are pre-built apps that enterprises tie into existing systems, cannot offer similar advantages despite being popular. Pre-built apps or OSMAs are ideal solutions when immediacy and urgency outweigh other considerations. On the other hand, what makes custom-built mobile apps more attractive is their ability to tailor the application to a particular audience segment rather than trying to cater to too many groups and their unique requirements. Therefore, it goes without saying that custom-made apps are high in demand in recent times. Studies highlight that the major benefits of custom apps for business are increased productivity, improved efficiency and the ability to work remotely. Thus, more and more companies are using custom mobile apps to for sales support, communication, data access and to gain competitive edge. Nowadays, businesses of all kinds and size, from small-and-mid-sized companies to big multi-nationals are harnessing the potential of custom business apps as it helps to increase productivity and stay competitive. To help you with your decision – whether or not custom mobile apps are good option for your enterprise – here are some advantages that you should take into consideration. Improves Business Efficiency: Custom apps are specifically tailor made keeping core business requirements in mind. It can be built to perform diverse functions, which eliminates the need of using multiple apps to get a job done. On the other hand, the apps can provide your team access to critical information at the right time and at the right place, improving efficiency and deliverability. 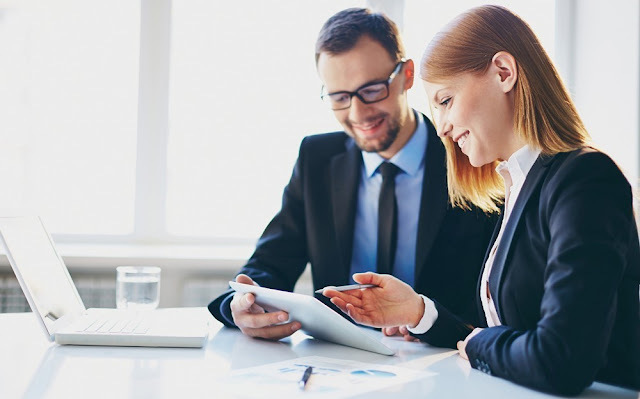 CMAs can be tailored to suit your working style or specific goals, which helps improve employee productivity and in turn, results into better business ROI. High Scalability: Off-the-shelf apps are typically designed to handle limited resources and processes. So, in a scenario where your business is growing, such applications may not be able to meet your needs as per expectations. On the other hand, custom-made apps, as the name suggests, are made to order, i.e. they are built only for specific functions or processes and can be easily scaled up when needed. High Security: When it comes to protecting business-critical information, using OSMAs are highly not recommended. Unlike what is promised, they may not have effective security features, which may put your data to risk. When you build a custom app, designed exclusively for your business or team, it can reinforce the data security system as critical security measures will be taken into consideration during app development. Since complete control of the app lies with you, and not any other unknown app developer, you can rest assured that your data is safe. Provides Real-Time Access: Gone are the days of managing business from the comfort of your air-conditioned office. Today is the era of mobile workforce, of digitalization! People are constantly on the move, but still connected via the World Wide Web. And in such a scenario, it is highly imperative to access business-critical information remotely, at any time and at any place. Having a custom app for your business means you can easily synchronize your Smartphone with your desktop computer and access business intranet, work documents, calendar, tasks, etc. Moreover, your sales team can use it as a powerful tool to promote your brand, make presentations to clients, get price quotations, and much more, on the go. To put it simple, no more waiting time to get a deal closed! Rapidly changing market scenario, diverse mobile platforms, and the demand for fast turnaround make it important that custom-made apps are well-thought of before implemented. Some vital factors to consider are improved efficiency, time to market, impressive UI/UX, data security, data synchronization, battery life, multiple network compatibility, and streamlined communication channel. From Bring Your Own Device (BYOD) to Build Your Own App (BYOA), businesses have traveled a long journey to embrace digitalization and information technology to improve efficiency and boost revenues. While the latter gives your employees the freedom to use cutting-edge apps to improve their productivity, it is considered a major security threat. As such, custom mobile application development has seen exceptional growth among businesses with increasing number of employees using Smartphones. 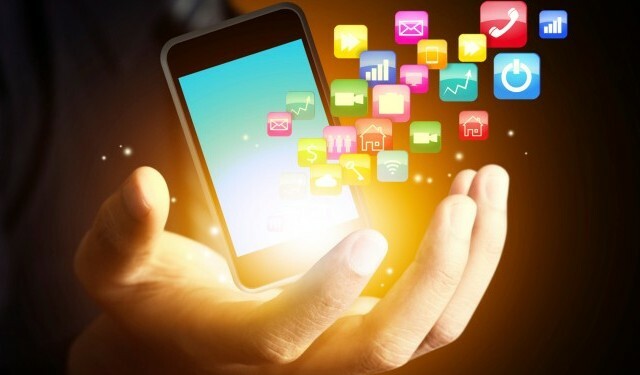 Some of the most popular trends in custom-made mobile apps for business include responsive designs, Internet of Things, social media integration, cloud-based apps, app analytics and big data, beacon technology, wearables, payment gateways and near field communication. Delightfully, latest platform offerings allow enterprises to create custom apps without breaking the bank. Effective planning can yield greater efficiency and productivity sooner than you might think. How to Boost Sales with iPad App? Because of the emerging technologies like Apple and Android, there has been a remarkable hike in the mobile applications market over the past few years. The devices supporting them offer unified and robust apps that offer optimum utility given any situation. iPhone and Android, undoubtedly, are the most-purchased Smartphones in the present-day market. Apple, in addition to iPhone, has also come up with a tablet concept with the launch of iPad. It is an ideal device that offers optimum utility in every field. In the midst of the present mobile revolution, businesses are becoming increasingly “mobile” with the objective of boosting sales and productivity. Devices such as tablets are replacing laptops and computers at corporate events, trade shows etc. Due to their amazing portability, these devices are gradually becoming de facto choice for marketing and sales teams. iPad web app development and iPad game development has witnessed rapidly rising demand. Today, it is a smart option to run a business on iPad services, as outsourcing projects usually attracts a high percentage of profit. Here are ways a business can use to improve the top line through iPad Apps. How Does an iPad App Improve Sales? Products exhibited in the app help customers engage with it in an improved manner. Due to interactive apps, customers can see how the product would look. They can also “feel” and “touch” the product. Since the iPads these days, come with retina display, the products displayed in full color looks extremely crisp and appealing. This would definitely result in higher conversions, in comparison to brochures. The chances of conversion can increase, if the product is shown in the ultimate environment in the app. For example, a manufacturer of furniture can have a feature in his app in which the sales team can display how the furniture would look in the home or office environment of the client. Once a customer can visualize how the piece of furniture would look in the intended environment, the chances of conversion are definitely improved. Having an iPad app helps the sales team get rid of printed brochures, catalogs, etc. With this, all the out of date information can be updated from time to time. iPad Apps assist the sales staff to answer customers’ questions in an effective way without delay and without missing a possible sales opportunity. The effect of this advantage can be realized immediately. Having coupon code features etc. Whether the results would be long-term or immediate would depend upon the sales cycles. An iPad, with its advanced features, high-definition big screen, and new-age mobile operating systems like iOS 9, has given rise to such hype that many people have taken to iPad app development for business development. iPad provides the user with the right path so that it can be used as an effective medium of growth and expansion for business. iPad applications boast of having users all across the globe, far and wide. Virtual relations built around the globe can be converted into priceless business contacts that can bring in newer projects, thus boosting the business. These applications, running on personal domains of consumers, provide them portability. iPad app development can multiply earnings in leaps and bounds, once the market value of the app is properly built up. The old adage, “Strike while the iron is hot” can be made true with the help of an iPad app. Many businesses have already found that the iPad is an amazing platform that enables hosting a “real-time custom configurator”, so as to book and configure orders before leaving the customer site. A standard workflow might look like this - A rep creates a configuration in the field and subsequently sends it to the headquarters for a review. It is then approved or tweaked before it is sent back in real-time. This enables the rep to book an order prior to leaving their appointment. iPads having cellular data connectivity, which can be effectively used for this. The iPad app helps in a new way of presentation that combines a couple of strong sales tools namely, the visuals and the personal meeting. The iPad app enables the prospective customer to see the image of the product, be it a short video or a 3D image. Visuals supplement the details that are made available to the prospective customer through the website or the sales rep’s pitch. Increasing the audience is essential for increasing sales in any business and iPad app provides this direct advantage. An iPad app helps in increasing the audience to a large extent. Any business that is aspiring to be successful must know how to introduce itself to people. The iPad app can have every kind of contact information that would allow the business to introduce itself to prospective customers easily and make it more approachable. A wisely-developed iPad app can enhance and improve sales to a large degree. The app can help the business stay afloat and earn healthy profits.